US Markerboard offers a wide variety of Specialty Seating when your needs are more specialized than typical Tables and Chairs. Aluminum Benches for parks and other high-pedestrian areas, like malls, fit in among other park furniture, like Picnic Tables. Instead of eating, people can just rest on these Benches. Booster Seats and High Chairs with Trays are great Stacking High Chairs for Restaurants and movie theaters. Would your small classroom prefer if Students Desks were attached to their Seats? You may be looking for Chair-Desk Combos, like Tablet Arm Chair Desks and Chair Desks. Band Posture Chairs and Adjustable Music Stands sit nicely on the Stages and Choral Risers offered here at US Markerboard for professional quality performances. Group Seating for libraries and classrooms make it easy for students and scholars to relax comfortably in large numbers. Sitting all day at a Computer Workstation can be tough on the back. 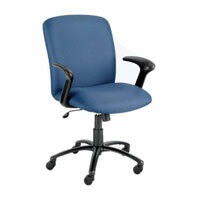 Get more comfortable with Task Chairs and Computer Chairs for long days at the computer. Art Studios, whether they are in schools or professional, will find the Wooden Art Horse and Wooden Art Bench to be the perfect companion to Angled Art Drawing Tables. Check out all of our Specialty Chairs and Specialty Seating and discover the convenience of having Furniture tailored to your needs!